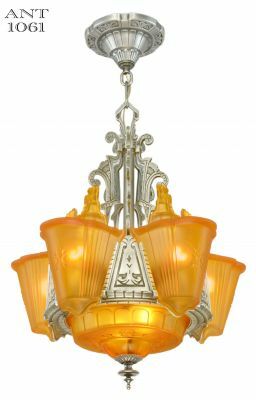 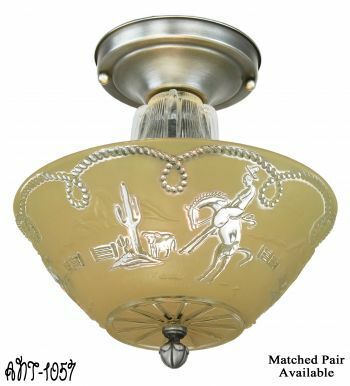 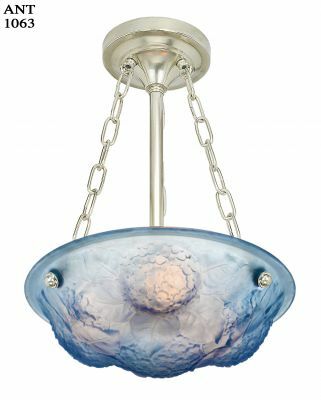 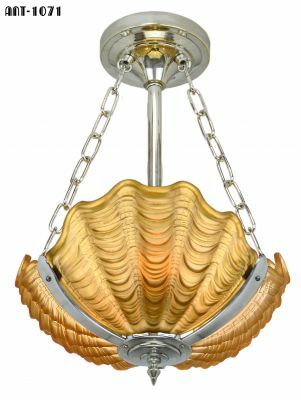 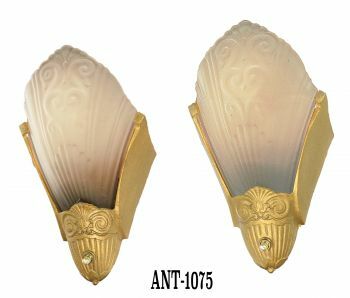 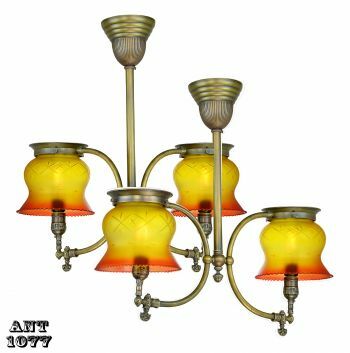 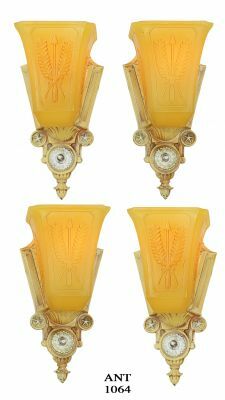 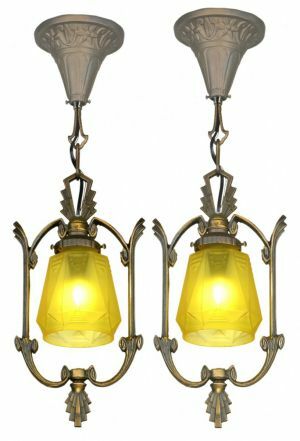 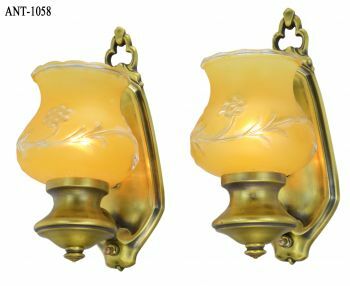 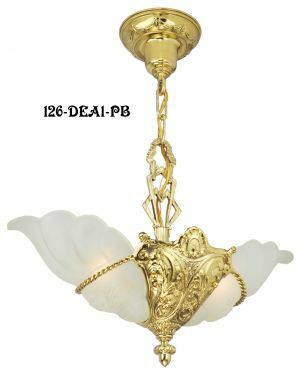 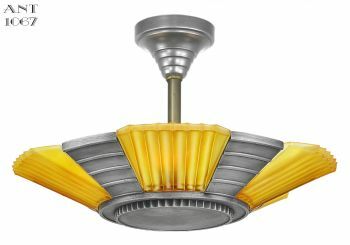 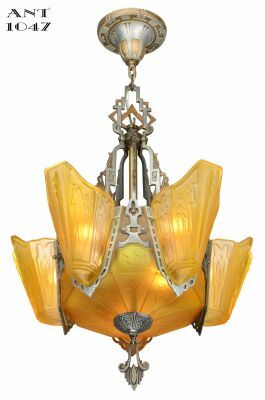 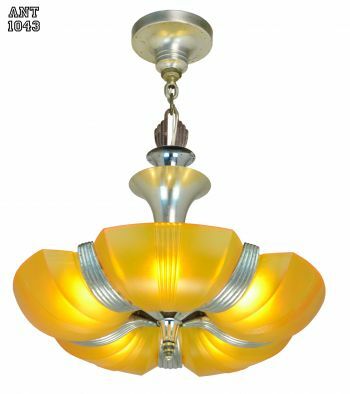 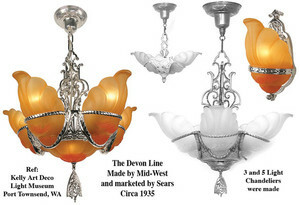 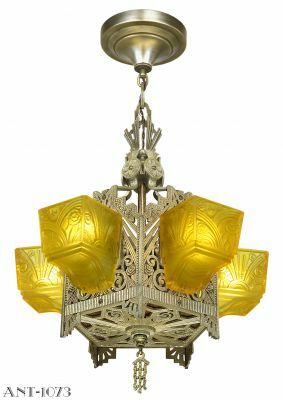 A Devon design chandelier or sconce was a top-of-the-line slip shade fixture when it was made, with a band to help hold the quality shades safely in place. 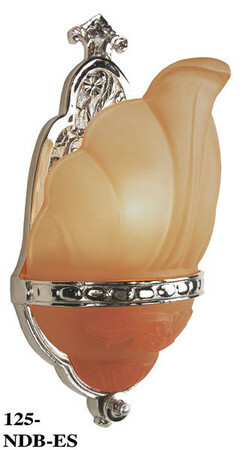 If you prefer, you can order the shade in a creamy rose tint. 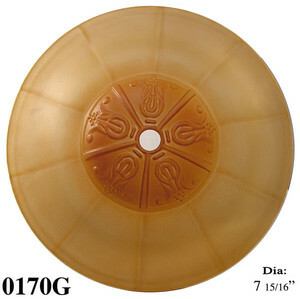 Outer Dimensions: 4 7⁄8" at widest x 8 7⁄8" high. See the additional photo for examples of typical Devon group lighting fixtures that would fit this shade. 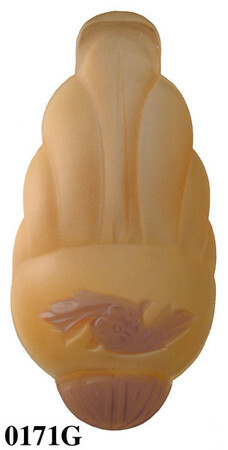 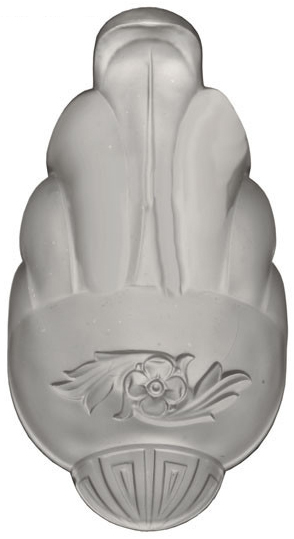 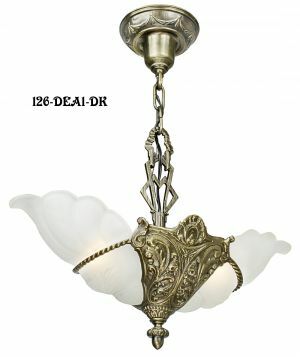 We also have the replacement bottom shade for the chandelier. 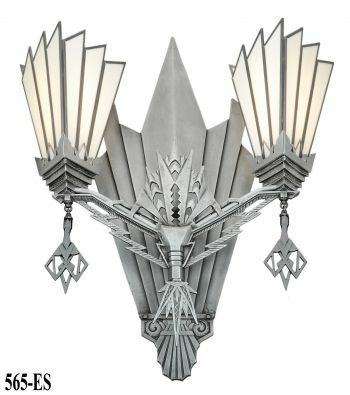 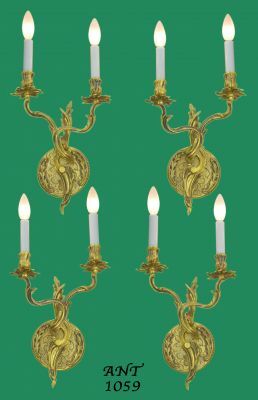 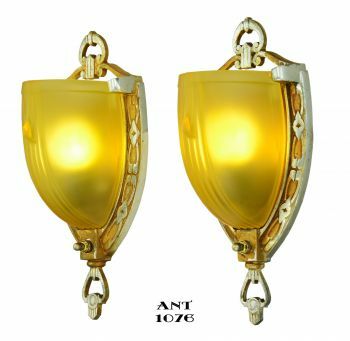 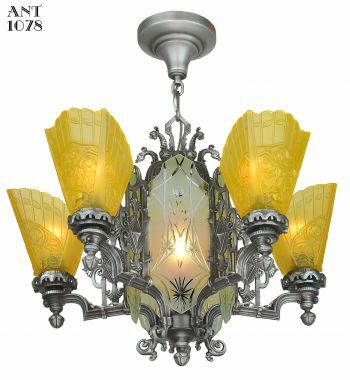 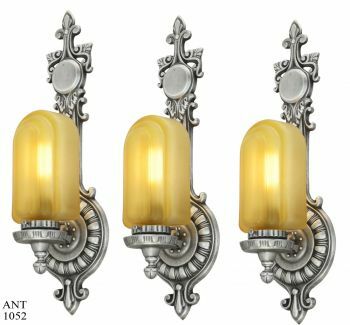 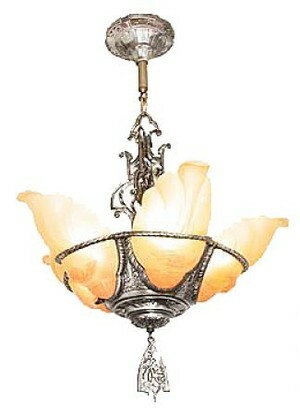 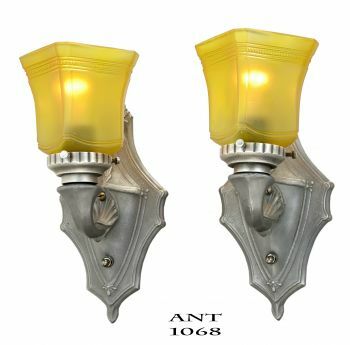 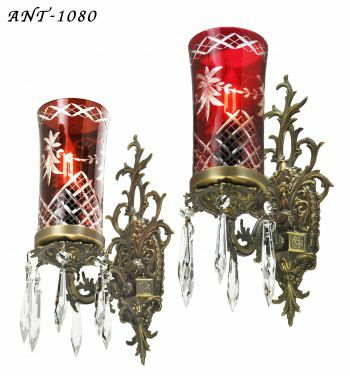 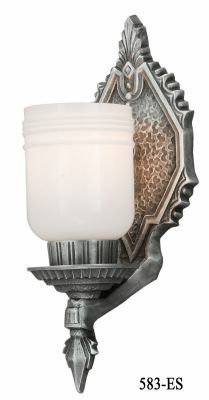 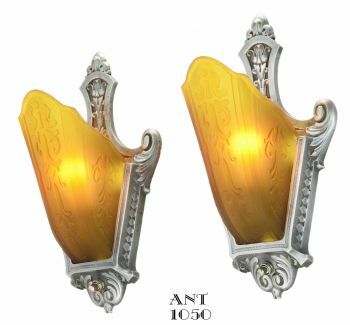 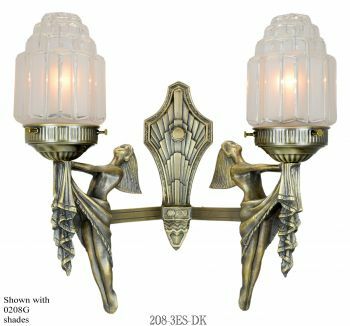 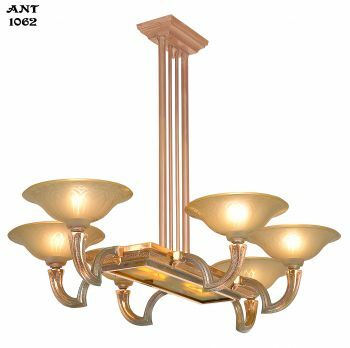 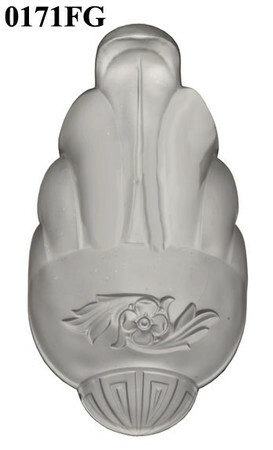 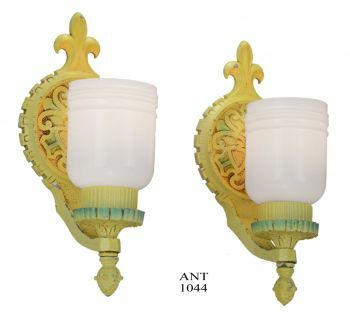 We sell the complete fixtures, the Devon wall sconce and chandelier as well. 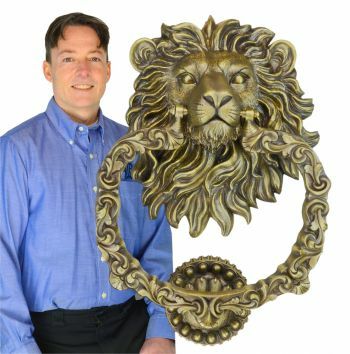 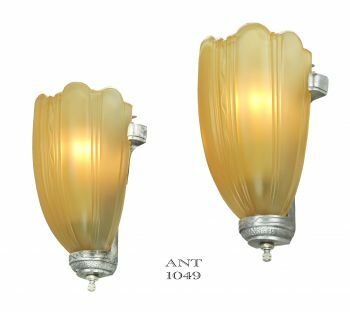 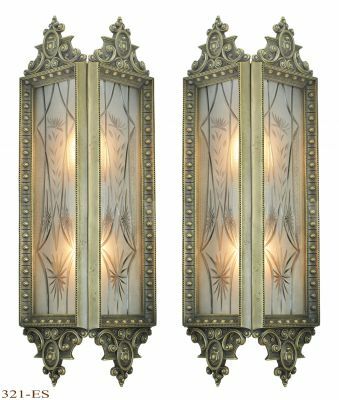 If you need more pieces to complete your Art Deco period room setting, you'll be pleased with our heavy weight brass and nickel plated brass fixtures. 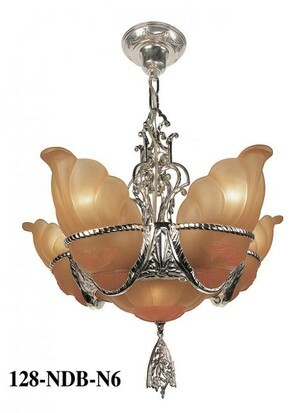 Light shades require special shipping.